The Surebonder High Temperature Trigger-Fed Glue Gun operates at 380°F — great for a wide variety of projects, especially those requiring an extra strong bond such as metals, plastics, and ceramics. It offers easy trigger-pull operation and a built-in stand. 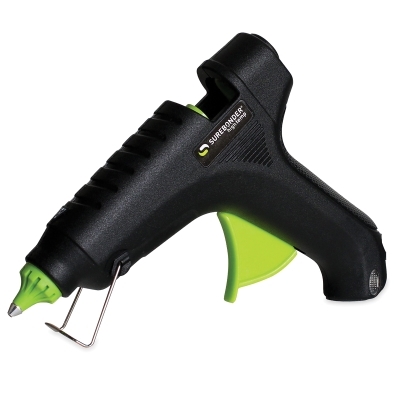 Use this glue gun with standard 7/16" diameter glue sticks (sold separately).